It is our mission, at Complete Claims Service to provide our clients with the best possible service for you and your customers. In our efforts to maintain and exceed the efficiencies that are expected in our industry, the staff at Complete Claims Service will monitor and provide consistent updates, while providing prompt, timely and efficient service. We will never compromise or lose sight of the quality required to exceed your expectations, without the influences of any external factors. You will be provided with a truly independent report so that you (our client) may settle your losses in a timely and cost efficient manner. Complete Claims Service currently services the immediate New York metropolitan area, portions of upstate New York, most of the State of New Jersey as well as parts of the States of Nevada, Utah, Arizona and Georgia. The appraisers for New York are properly licensed and bonded as required. It should be noted that the State of New Jersey does not have a licensing requirement. 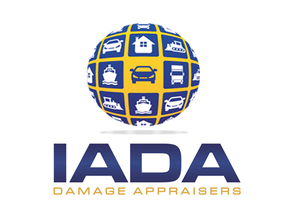 All of the appraisers have a minimum of 10 years experience in the Automotive and/or Insurance industries. Many of the appraisers have been certified by the National Institute of Automotive Excellence (ASE). CCS is Certified by I-CAR, and our appraisers continue to attend various I-CAR seminars. For the client’s protection and security, CCS carries Errors and Omissions, Full Liability insurance, Workers Compensation as well as non-owned auto coverage.